Aussie has over 1000 experienced mortgage brokers across Australia, who will compare over 3000 loans to find the right loan for you. Here’s a snapshot of Aussie’s home loans currently on offer for a purchase value of $600,000 in NSW, with links direct to the providers website. Please note that this table is formulated based on paying both principal and interest whilst being sorted by comparison rate (lowest to highest). To compare other home loans, please click here. The inclusions below represent a selection of the features available with a Standard Variable Rate home loan of $350,000 for an owner-occupier. Additional conditions may apply to different features. Please ensure that you read the product disclosure statement to determine all the current loan terms and conditions for the product you are considering. CANSTAR is an information provider and in giving you product information CANSTAR is not making any suggestion or recommendation about a particular product. If you decided to apply for a home loan, you will deal directly with a financial institution, and not with CANSTAR. Rates and product information should be confirmed with the relevant financial institution. For more information, read our detailed disclosure, important notes and additional information. No upfront fee (application fee) at time of writing. Split loan facility available; max 4 splits allowed; no split loan application fee. Repayments may be made weekly, fortnightly, or monthly. Interest only repayments available for up to 10 years. Loan can incorporate stamp duty. 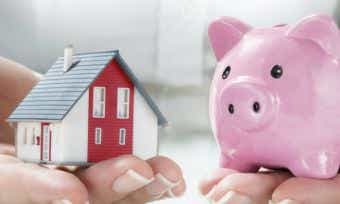 What types of home loans does Aussie offer? You can apply for an Aussie loan online by clicking on the Aussie home loan product of your choice in the Canstar home loan comparison tables and booking an appointment with an Aussie home loan expert. Follow our applying for a home loan checklist, and if you want to book a free appointment call 1300 44 55 66. 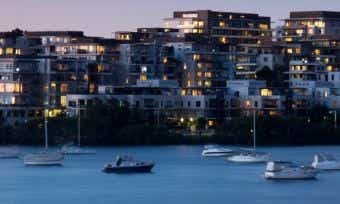 Can you make extra repayments on an Aussie home loan? Yes, Aussie allows extra repayments on their home loans. Terms and conditions apply; contact your lender for details. 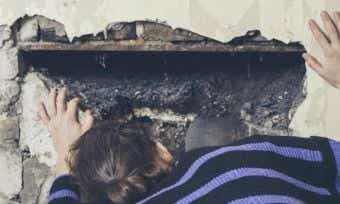 Are redraw facilities offered on Aussie home loans? Yes, Aussie offers redraw facilities on their home loans. Fees and charges may apply to use of a redraw facility; contact your lender for details. Founded over 25 years ago by John Symonds, Aussie does more than provide its own home loans – it is a mortgage broker company that provides access to home loans from other lenders. Today Aussie has access to over 3,000 home loans and has over 1,000 experienced mortgage brokers able to provide a loan in-store or by coming to you with mobile lending services. Aussie has created has been the Little Aussie Stories series of customer success stories. Watch the stories on Aussie’s YouTube channel. Credit services for Aussie Select, Aussie IQ and Aussie Optimizer products are provided by AHL Investments Pty Ltd ACN 105 265 861 Australian credit licence 246786 (“Aussie”), and its appointed credit representatives. Credit for Aussie Select products is provided by Residential Mortgage Group Pty Ltd ACN 152 378 133 Australian Credit Licence 414133 (“RMG”). RMG is a wholly-owned subsidiary of the Commonwealth Bank of Australia ABN 48 123 123 124 AFSL and Australian Credit Licence 234945. Credit for Aussie Optimizer products is provided by Perpetual Limited ABN 86 000 431 827 (Lender). Credit for Aussie IQ is provided by Macquarie Bank Limited ABN 46 008 583 542 AFSL and Australian Credit Licence 237502. Home loans issued by the Lender are serviced by Macquarie Securitisation Limited ABN 16 003 297 336, Australian Credit Licence 237863 (MSL). 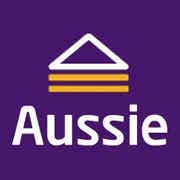 Aussie is a trade mark of AHL Investments Pty Ltd. Aussie is a subsidiary of the Commonwealth Bank of Australia ABN 48 123 123 124. © 2018 AHL Investments Pty Ltd ABN 27 105 265 861 Australian Credit Licence 246786.